When we talked about the Police of 1958 and earlier, we are not saying that it was at any point an ideal police force. Far from it – there were a number of instances of police brutality towards the lower orders of society, of which Vittachi gives one example. A classic example now fading from living memory is the attack on the strikers of 5th June 1947, on the eve of independence. The primary issue was the Left protest against the Soulbury Constitution for Independent Ceylon, for its failure to guarantee workers’ rights. Associated with it was the interdiction of T.B. Illangaratne, president, and 19 others of the Government Clerical Services Union for having held a meeting on Galle Face Green, in contravention of Public Service Regulations. 50,000 public servants prepared for trade union action. At this point there was a development of considerable historical interest. The State Council headed by D.S. Senanayake, the prime minister-in-making, hurriedly passed the Public Security Ordinance, taking barely 90 minutes over it. We shall encounter the PSO again in the run up to the violence of July 1983. Perhaps the rulers in 1947 also thought it useful to have such an act on the statute book before independence, since, one is not surprised by such laws under colonial rule, while it would be awkward to present such legislation after independence. Interestingly, however, the most oppressive piece of legislation ever passed in Parliament – the one to make Tamil plantation workers non-citizens – could not have been passed under colonial rule! Following the passage of the PSO, the strikers made their way to the venue of the public meeting in Ralahamigewatte, Kolonnawa, marching through Dematagoda. The procession was blocked by the Police. Dr. N.M. Perera, the LSSP leader, went forward to Police Superintendent G.H. Robins, to explain to him that the meeting was authorized. He fell on the ground after being struck on the head by a baton, and had to run away to save himself. The Police fired 19 rounds of bullets into the strikers, killing one and injuring 19 others, 5 of them seriously. There were indeed many deficiencies in the Police of those times. But despite their prejudices and class affiliations, the Police as an institution had one saving grace. They were conscious of the Law as the standard and the ideal of enforcing it impartially. They were also sensitive to being seen falling short on professional standards. This in consequence had the merit of enabling the public to challenge them on the basis of the Law as the standard. But on the other hand the situation becomes quite hopeless when the Police acknowledge no standards, and for the most part become sycophants of the rulers. Another event in the episode of the police action in 1947 foreshadowed the future. The body of the innocent clerk V. Kandasamy, who was killed by police firing, was dispatched to his family in Jaffna by the mail train. G.G. 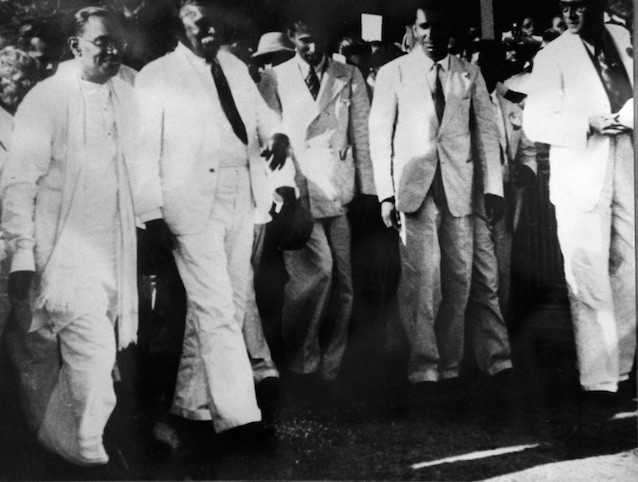 Ponnambalam, famed criminal lawyer and leader of the Tamil Congress, stood by the coffin when it was placed on the platform of Jaffna railway station. He told the crowd that had come for the occasion that Kandasamy was killed by the Sinhalese government. It was still British rule and it had not entered into the minds of the crowd that Kandasamy’s death had anything to do with his being Tamil. Not long afterwards, the same Tamil Congress leader G.G. Ponnambalam who said Kandasamy had been killed by the Sinhalese government joined the same UNP government of D.S. Senanayake’s to become a cabinet minister. He also lent his support to the deplorable Acts which rendered the Tamil plantation workers (of recent Indian origin) without representation. This caused a split in his party, with the faction led by Chelvanayakam, Vanniasingam and Naganathan, continuing to oppose the Acts and forming in 1949 the Federal Party. Mr. I.R. Ariyaratnam, a Left party leader in Jaffna, later asked Ponnambalam why he had after initial opposition supported the Citizenship Bills upon being made cabinet minister? Ponnambalam replied, “India is a big country 50 times our size. Her prime minister, Nehru, does not care for these Tamils of recent Indian origin. Why should I bother about them?” It was again a mindset, educated and brilliant in a way, but tragically deficient in foresight and moral sense. The events of those two years in the late 40s which were centred about the country’s independence in 1948, contained many presentiments for what followed in the next half- century. While having the forms of democracy and legality, it was a political culture that was manipulative with few stabilising higher values. At the beginning of this chapter, we adverted to the authoritarian instinct of rulers which led them to believe that physically humiliating their opponents would bring them round. It brings those who ought to be statesmen down to the level of village thugs. The public emotions engendered in the process, and the actions of party members and hangers-on, tended to drive things out of control. In turn, the victims developed the same mindset: – viz. “The only thing that would work with the other side is a good whacking”. In the heat of the events, the elite, who ought to have understood the long term damage, were unable to command the conviction to condemn violence by their own side. This tendency among the Tamils was evident through the 1970s and had attained a certain fixity after July 1983. There was a lack of conviction about condemning the barbarous massacre of Buddhist pilgrims in Anuradhapura, in 1985. The same lack of conviction was evident in Prime Minister Bandaranaike in May 1958, and in President Jayewardene in July 1983. It was more damaging because they had state power. On both occasions, someone who could take decisions independently and act with firmness could have done a lot of good. This was done by the Governor General, Sir Oliver Goonetilleke, in 1958. In 1983 too it could have been done by the Army Commander, Chief-of-Staff or even the Commander-Operations, Colombo. It did not happen although it is unlikely that anyone would have risked trying to stop them. Although the State bears principal responsibility for the tragedy of this country, the descent of the Tamil polity into self-destructive internal terror cannot be understood without the circumstances surrounding the political murder of Alfred Duraiappah on 27th July 1975. Are Our Tamils Fit For Devolution? This is what Dr Rajan Hoole wrote some fourteen years ago. A fortnight ago there were his more recent articles. I wonder if Gajen Ponnambalam will rise to a more convincing defence of grandfather this time round? I think that Rajan Hoole was wrong the last time. I have searched the literature and there is no evidence to the effect that GGP voted for the 1948 Citizenship Act. In fact, many besides GGP’s supporters confirm that GGP voted against the 1948 Act. Rajan H himself admits that it was popular belief that he went by. The real dispute is on the subsequent piece of legislation. GGP, to the very end of his political life, claimed that he did right by the Hill Country Tamils and that the FP misunderstood/misinterpreted the 1949 Act. Like ancient Tamil history modern Tamil history too tends to have a strong gossip component. I am no lover of GGP or his politics. I too believe that he let down the Hill Country Tamils. But my position is based on stated facts. Even in this instance, as I have noted a little earlier, Rajan H should pay more attention to sources before recording something as real. The story is this: GGP, when the crucial vote came up in the House of Representatives came up absented himself.He was thus able to claim to the Tamil people that he DID not support it while keeping peace with the Senanayake government by not voting against it! Did you say that he was s very astute lawyer!! The only way to “source” this is to check out the Hansard. This is a new twist that nobody even thought of before. I wonder who told you this story. Had GGP done that he would have done as badly as by voting for the Act. Not even AJ Wilson has accused GGP of supporting the Act. There are other sources, including Sumanthiran, who accept that GGP voted against. His cunning was in supporting the Act of 1949: he claimed that he tried to help the Hill Country Tamils and SJVC & co had misinterpreted him. We have had enough of speculative writing of history. Tamil political history cannot go on relying on hearsay. I said it!! Late 60’s G. G. Ponnambalam, QC, charges for a murder case was a flat rate of Rs: 100,000/ and he won 99% of his cases acquitting the accused.The 1% was because the accused failed to follow instructions. remember right and wrong are relative terms- When a lawyer accepts a fee its his duty to win and win he did.- this is very rare in today’s Lanka (mostly won by unfair means) He held a great reputation at Lincolns Inn at a time when racism was rife.- he was a master orator and a master at Latin, Greek and English. I was a little boy reading lone ranger, buck rogers, WW2 comics so I was curious about the double murder. Dr R.H. did admit last time that what he said was ` hear say` well that is why we call History His_story in the first place. Literature as it is is 2 dimension while life is 3 dimension so we go for Archaeology and carbon dating etc. But this is a 2 dimensional matter. I do not say that it could not have happened. But it will be good if the author would give his source of such serious allegation. 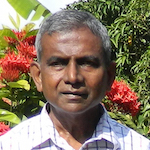 I searched the Internet and found it written by Victor Karunairajan in “Sri Lanka Watch” of 6th May 2016; also in LankaWeb of 26th May and 9th June 2012 by Nalliah Thayabharan. The text here is almost the same as in LankaWeb and Sri Lanka Watch. But no other source. None of the named sources gave his source for the narrative of an event that allegedly occurred almost 70 years ago. BTW, the phrase “Sinhalese government” came into vogue much later in history. Certainly, GGP would have liked to steal the march on the Left, and the colonial regime would have gladly obliged– but in writing history there is need for precision. Actually Dudley’s corpse was the most prized possession in post-Independence history, more than SWRDB’s. Corpse politics in the N&E really started with the parading of SJV Chelvanayakam’s ashes in 1977 in good time for the General Election. Only ‘traitors’ shed tears three years earlier for Alfred Duraiappa, and most of them in privacy. Again this must have been reported somewhere and the reader will do well with a named source. Interestingly, the “India is a big country…” fib has been used even more cleverly by the FP and its successors. Does Dr Rajan Hoole know what excuse the FP gave for not raising the citizenship issue with the government after 1957? I don’t know how this story can be sourced. Though I was only a boy at the time I heard this story at the time it occurred– many members of my family being politically involved.The full story is this: Colvin R de Silva accompanied the body in a third class compartment while GGP came in a first class berth and alighted at the Jaffna station and made a short speech to everyone’s shock and surprise.Many left leaders from Jaffna were truly chagrined but they couldn’t do anything and dishonor the corpse. I came to know some of these left leaders later and not only did they confirm the story but often mentioned it in their public meetings. Perhaps it was described in the pages of the progressive Tamil weekly The Eelakesari –which will contain a good record of the ill-fated progressive movement in the North. That GGP would have sought political mileage out of Kandasamy I never disputed. The unlikely phrase “Sinhalese government” stirred doubts in me. The question is WHAT EXACTLY did GGP say. It will be useful to locate a contemporary source. (Living sources are unlikely. So archival material is necessary). I wonder if the left leaders of the North or South subsequently condemned GGP’s conduct on a more appropriate occasion. We cannot have history written based on hearsay, and my plea is for PRECISION. Can Doctor of Maths Rajan Hoole give you a mathematical equation for WISDOM= BUDDHU (sanskrit)?? They are the christian converts like the muslims, buddhist who want to steal the whole lot of land- Hari hari!! Considering the hearsay history of his I doubt he is capable- So he remains academic non professional. I was born in Bandarawela, and most of my life I have lived among these Hill Country Tamils. It is tragic that these people should have been treated so shabbily for so long. The Sinhalese people of Uva are all too conscious of Brownrigg’s scorched earth policy and how lands were taken over for tea plantations. It was a policy that changed the demography of the the area – which was termed the Uva Province by the British. I’m no historian, and I don’t know how accurate this observation is, but the thinking of the Sinhala people of this area goes somewhat like that. Colonialism was ugly, but may even have been a necessary phase in world history. Communalism now is even uglier, and ugliest of all seem to be the actions of the Jaffna Tamil, G.G. Ponnambalam. “sekera” seemed a Sinhala name to me, but now he appears to be a Tamil – probably an outstanding man. He demands PROOF that certain events took place. The events appear to be so recent that it SEEMS reasonable to ask for near-forensic evidence. But is this fair by writers like Rajan Hoole and Michael Roberts who seem to be making every effort to be objective and dispassionate? We take what Herodotus said about the Persian Wars of 490 and 480 B.C. seriously, although we don’t have the sort of details that are now demanded. I have made just two visits to Jaffna – the second only 48 hours two years ago. The first was longer – about a week, I think, in 1968 – and the last three days in the home of Dr David Richards and his wife – the parents of Mrs I.R. Ariyaratnam. Apparently Mrs Ariyaratnam had been the eldest daughter. The family had spent the years of the Second World War in Malaya, then occupied by the Japanese. My phone number will be found easily enough there, and if asked I will put any serious-sounding inquirer in touch with Mr R.E. Jayarajah who will be tell you very clearly and vividly what he remembers. Mr. I.R. Ariyaratnam had passed away only about three years ago, aged 93. He spent his last years with his younger son who continues to reside in Colombo, and will be able to tell much. Jayarajah himself recounts many of the incidents that are being queried. For instance, on this business of how G.G. Ponnambalam voted: I’m a bit vague about the two votes – that is why you should go to Mr Jayarajah himself! As a Tamil he remembers what I don’t. He says that when voting time came, GGP had a massive fit of coughing (in keeping with his play-acting even as a lawyer) and coughed his way out of the chamber. That was the way in which he absented himself. There is more that I shall try to record tomorrow. It is unfortunate that Jayarajah is not computer literate, but his mind is very clear and he is a brilliant speaker – and also an honest and modest man – but with a wonderful sense of humour. I know that he has two elder brothers, D.R. Kanaganayagam and Rev. James Ratnanayagam, but their minds are gone – total dementia has taken over. Please let me stop there for today: it is almost 2.00 a.m. When someone is used to something in life and he has the capacity to have it let him have it. Ever heard of a USA presidential candidate spending his own capital to contest? 7 billion was spent last None so far but The Trump spends his own and folk like `many members of my family being politically involved` – Clinton’s with billions made via charity use multinational funds. There is nothing called a free lunch. People like Scorn at The Trump Why So?? Whose voices are you hearing in your head today? is on a vendetta against the Tamil community and current politicians. It is a shame a person who is supposed to be an academic writing without proper reference happens only in Srilankan publications. Isn’t the message here so true, and makes one so sad, that any inaccuracy in the timeline can be ignored? Surely not. This gives the impression that FP was formed with the purpose of doing something good. Come on — have later events not shown us that they were just cheap opportunistic politicians? GGP’s association with the Act (true or not) gave them the excuse. We don’t want to think they had the interest of the tea estate workers in mind. I almost belief in your version with minor clearing up. I am certain that the Tamil Congress voted against the Indian and Pakistani Citizenship Bill. However I have my doubts whether GGP personally voted against this bill. GGP soon after this voting joined the government and he voted for the Ceylon Citizenship bill that followed. This bill enabled the disenfranchised Indian Tamils to apply for ceylon Citizenship within a specific period.Mr Thondaman and others called for a boycott and at the tail end of this period they called off their boycaltt and requested the indina tamils to apply. The applications were hastily perfected and most of them rejected. I also belief,Mr Thondaman and many others obtained their citizenships in terms of this act. I have read a series of articles on this topic by GGP, Kumar Ponnambalam and Mr Vinayakamoorthy former MP at different times. His opponents were always silent when confronted. Further,I have my doubts about GGP and Kandasamy story also. I kindly request the researchers to seriously look into this dispute and settle it once for all. Dr Rajan Hoole should verify his facts before publishing. He will not that is why his subject is hearsay and historians relevé in it. So it’s the PhD that we affectionately call Pakistan `heeling` Dance- Guinness World Records for “most Sufi whirls in one hour” were awarded in London in 2012, to Shafik Ibrahim Abd El Hamed in the male category with 2,905 rotations, and Tara Lee Oakley in the female category with 2,191. These records were surpassed in Zurich in 2015 by Nicole McLaren, with 3,552 rotations. Above all he can say` Father forgive them for they do not know what they do and get away` – It’s all in the faith. Catch a monkey by it’s toe isn’t it?? I am not sure about the said boycott by Thondaman & Co. Most people did apply but a large majority of applications were rejected, according to sources I had access to. The reality is that the Tamil plantation population was overwhelmingly illiterate at the time and the system of recording births, deaths and marriages was not well established there until well into the 20th Century. GGP should have known better about the reality. I wonder if anyone raised this aspect to the problem in Parliament. Correction to my earlier post. My apologies to all readers of CT. The first bill is the Ceylon Citizenship Act No 18 of 1948 brought in 1948 that defined Ceylon Citizens and in terms of which the Indians in Ceylon lost their citizenship and Citizenship by Descent and Citizens by registration were introduced to the vocabulary of Ceylon politics. The Tamil Congress voted against this bill. The second was Indian and Pakistani Residents (Citizenship) Act No.3 of 1949 which provided avenues to the Indians Who lost their citizenship in terms of the first to apply for Ceylon Citizenship. The tamil Congress after accepting cabinet posts supported this bill.